Maryland Polo Club recently hosted a “B” Flight invitational womens polo tournament. 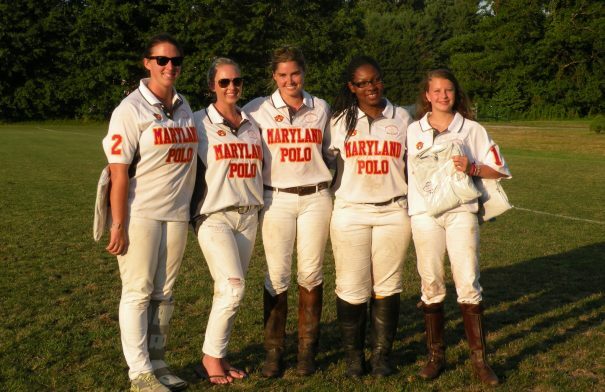 White team came out victorious in the Maryland Polo Club’s first Womens Challenge Tournament. “B” Flight winners were comprised of Liv Stringer, Posey Obrecht, Shariah Harris, Arabella Brockett, Sophie Grant, and Abbie Grant. Three womens teams competed in a round robin tournament. Fun was had by all on a beautiful Saturday afternoon in Maryland. Jolie Liston’s “Philomena” was voted best playing pony. Youngest female player, Sophie Grant, was voted MVP.